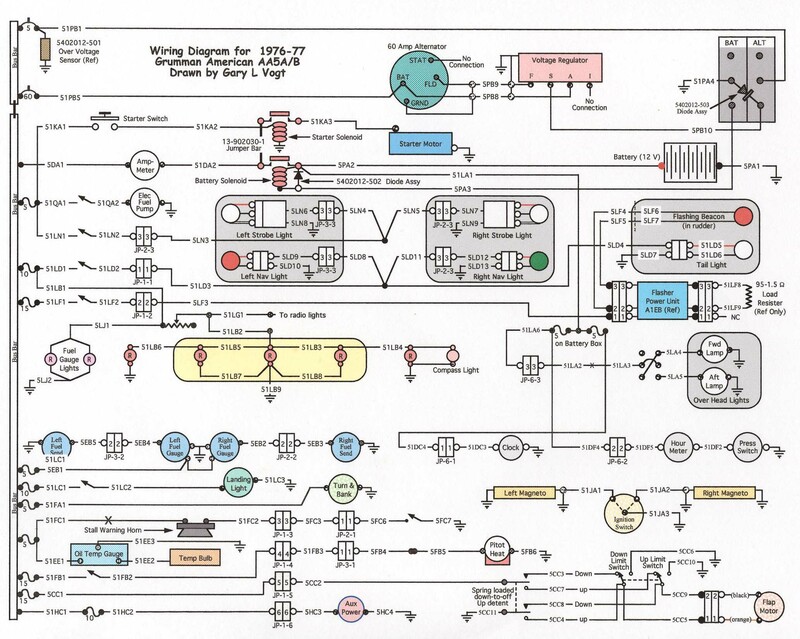 I originally drew this wiring diagram about 1987. I made a few copies and saved the original on disk. Well, I tried to find the disk and it's MIA. So, I redrew it and added color. I also drew the version for the later (78-79) Grummans. This is a scan since I can scan to higher resolution than Photoshop will save it from the drawing.